After a night’s stay at the Ramada Suites Kuala Lumpur City Centre in Kuala Lumpur, we headed to Ipoh, the next destination in our road trip. After a few hours, we arrived and checked in at one of the Ipoh Hotels – the Hotel Excelsior Ipoh. 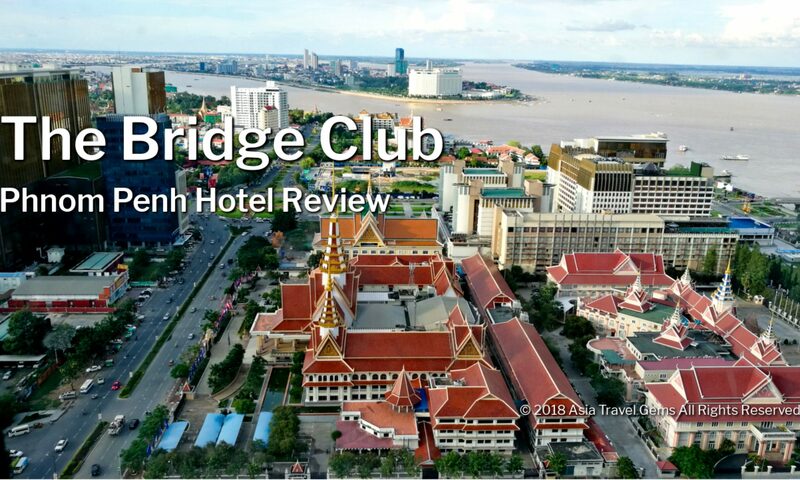 As a fellow traveller and digital nomad, I fully understand your concern when searching for a good place to stay in an unfamiliar and foreign city. So, in this Ipoh Hotels Review, I will give you my honest opinion of the Hotel Excelsior Ipoh that will include my personal experience at the hotel, what is around the hotel, what are the nearest attractions, where are the best places to eat, how to get to the hotel and around Ipoh. As usual, I searched on Agoda to find a good hotel to stay at. I found a fantastic deal for one of the Ipoh Hotels – the Hotel Excelsior Ipoh. Please continue to read for my review of this hotel. Location: 43, Jalan Sultan Abdul Jalil, 30300 Ipoh, Perak Darul Ridzuan, Malaysia. Hotel Excelsior has been around since 1983. It was Ipoh’s first international hotel. So, when we booked the hotel room, we were prepared to stay in a room that might be a little old and tired. To our surprise, the room still looks modern, with the latest design and furnishings such as the Rain Shower. The hotel is located at the heart of the city centre of Ipoh. As such, nearby are banks, business centres, food courts, hawker stalls, restaurants, and shopping malls. Even the local attractions are not too far away. Non Smoking Rooms available – Request for this upon booking if you prefer Non Smoking Rooms. When I booked and made the request, the hotel responded promptly, and did provide us a Non Smoking Room when we checked in. 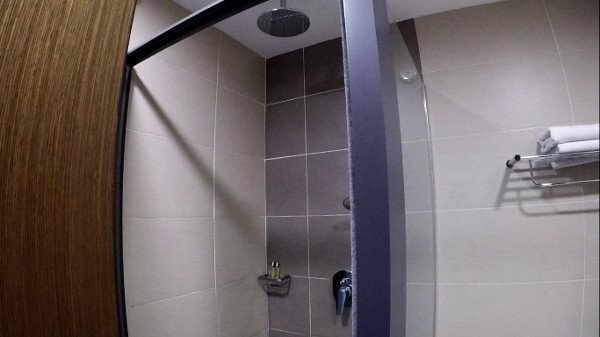 En Suite Bathroom – Towels, well stocked with shampoo and conditioner, hair dryer, Rain Shower! What Good Food to Enjoy in Ipoh? 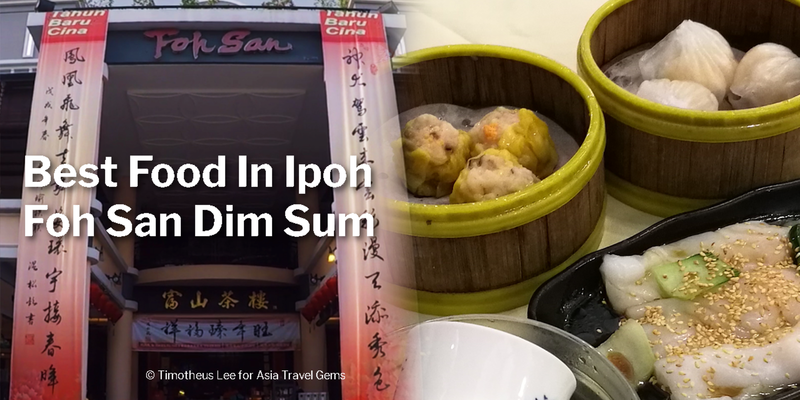 One of the things to do, that everyone who visits Ipoh do, is to enjoy the good food there. We know we did! The good news is that just behind Hotel Excelsior Ipoh, there is the famous and popular dim sum place called Fo Shan Dim Sum. Locals and tourists flock here to enjoy delicious dim sum. And a short drive away, you can enjoy the well known Lou Wong Chicken Rice. When you visit Ipoh, you must try the chicken rice here. Plus, just across the road from Hotel Excelsior Ipoh is the Oversea Restaurant where you can enjoy flavorful Chinese dishes that is as close to fine dining as you can get here. While the attractions at Ipoh are considered near Hotel Excelsior Ipoh, there are some that you could simply walk to, and there are those that it would be better if you have a car to drive you there or at least get a taxi or Grab. We spent a lovely afternoon at Kek Lok Tong Cave Temple and Zen Gardens. This is truly an awesome place to visit. The serenity is truly refreshing. Then there is, of course, the famous Batu Caves. There is a lot of history and art in Ipoh. And only so much time for you to see as much as you can. So, take your pick. For us, we visited the Concubine Lane, the Ipoh Mural Art Trail, Art of OldTown, and Ho Yan Hor Museum. We wanted to visit the Ipoh World at Han Chin Pet Soo, but it was closed by the time we reached there. Where is Hotel Excelsior Ipoh? For us, as I mentioned, we were on a road trip. Our first stop was Kuala Lumpur. We drove along the highway to Ipoh, which took us a few hours only. Our next stop will be Penang. 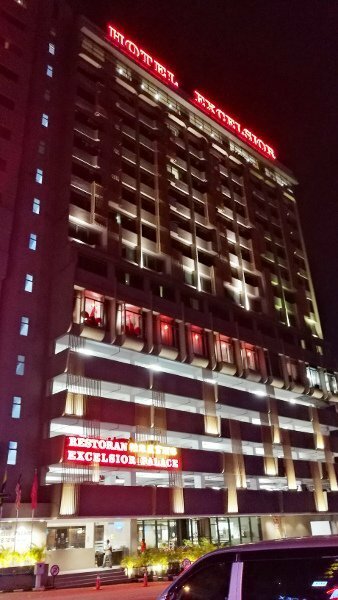 From the highway, using the Waze app, we easily reached and found the Hotel Excelsior Ipoh. You can do the same as what I did – that is, to fly to Kuala Lumpur International Airport, then take a bus, drive or get Grab to go to Ipoh. There are many bus services that go to Ipoh from Kuala Lumpur. You can do Google search to find such services. Tip: My Advice – Take a Cab or Grab to Ipoh. You can choose the time to depart, and it is not expensive. Tip: There is a local airport – the Sultan Azlan Shah Airport. But, there are few airlines, and no international ones that stop there. Better you take my suggestion above. At the same time, you get to visit Kuala Lumpur, too!. There are local buses, but information on their routes and stops are not well provided. The town is so small, it is better to take taxi or Grab. This is quite a good hotel. Unfortunately, it lost points for the very soft pillows. Our sleep was affected. And good sleep is so important isn’t it? The room was clean and well furnished. Housekeeping did a good job keeping the room, bed, en suite bathroom, towels, and everything else spotless. The Superior Room was small. Yet, it was just nice for two persons who intended to drop everything the minute they checked in, and explore the city. In effect, the room is just functional. A place to shower and sleep. Ahhh, there’s the rub again. The reason why the rating is an average 3.0. Sleep. It was not so good. Sleep aside, all else was good. 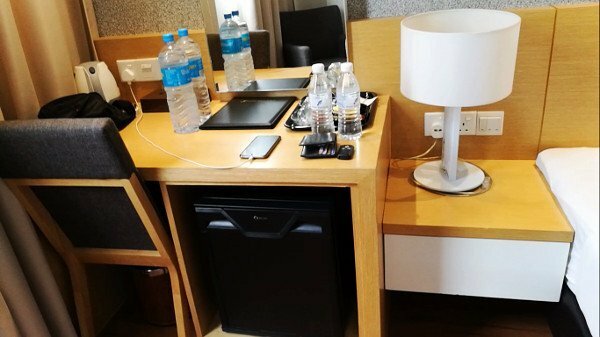 If you are like us, and travel to explore, then Hotel Excelsior Ipoh is just right for you. At the prices offered by Agoda, it is a great value. 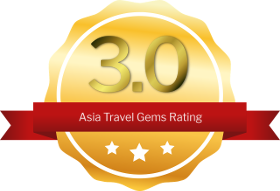 If you have ANY questions about Ipoh Hotels Review – Hotel Excelsior Ipoh, ANY at all, please submit your questions as comments below. I will be happy to help you out.